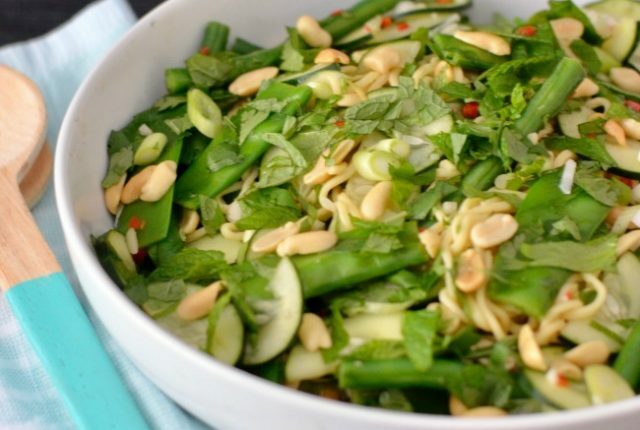 I was after a light and fresh dinner option recently and this peanut herb noodle salad was the perfect answer. It’s super quick to prepare and ultra healthy, but also absolutely packed with flavour. Zesty, spicy, herby and delicious! When I was unpacking things into my new pantry I discovered I had a surplus of cans of chickpeas and corn so knew I needed to add them into my meal plan ASAP. 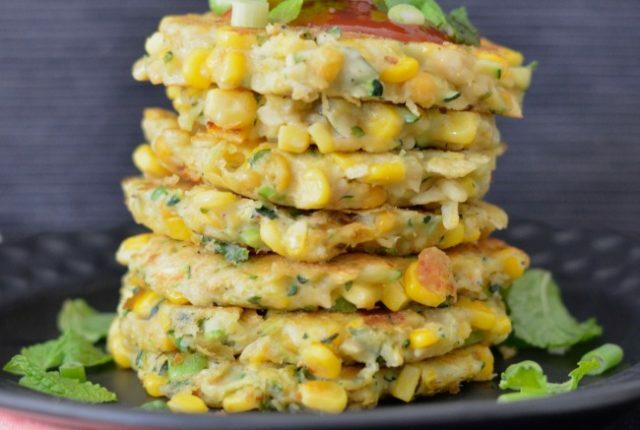 These corn, zucchini and chickpea fritters were a delicious solution to my problem! 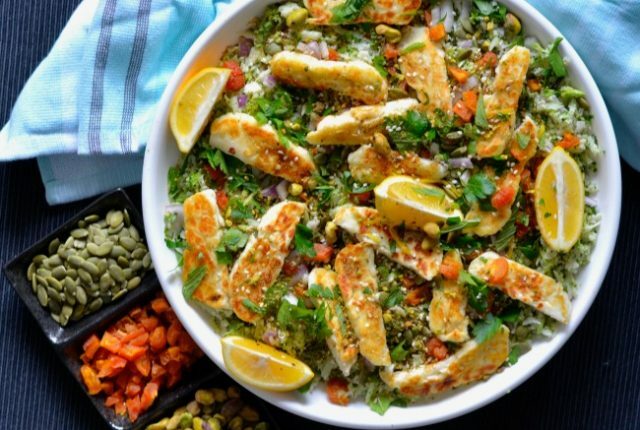 Simple, tasty and perfect for a quick and healthy dinner. Yum! 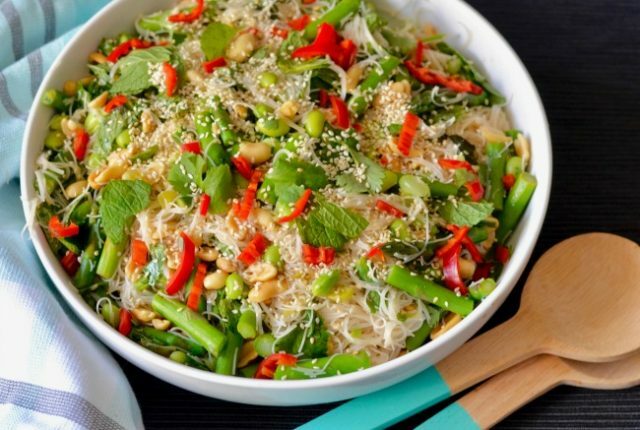 I’m all about the fresh, light noodle dishes at the moment and these edamame asparagus noodles are a prime example. Zesty, delicious and super simple to whip up! They are perfect for lunch or even a light dinner. So good. I was looking for something nutty and delicious for work lunches recently and had some haloumi staring at me in my fridge. The result was this haloumi with broccoli and cauliflower dish, packed with nuts, seeds and most importantly flavour! Easy to whip up and oh-so-tasty. 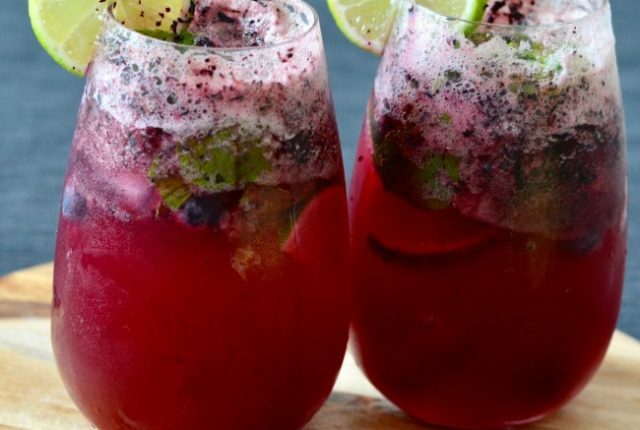 I do love a summer cocktail, and this blueberry lime mojito is no exception! It’s refreshing, delicious and not too sweet. Perfect for summer, particularly a BBQ at home. They’re quick and easy to whip up as well, and don’t need any fancy equipment!